Dr. Hamed Samarghandi is an Assistant Professor of Finance and Management Science whose research focuses on optimization and operations management. In particular, Samarghandi is an NSERC Discovery Grant holder who specializes in the applications of mathematical programming in the healthcare and manufacturing sectors. His academic background includes Industrial and Manufacturing Engineering. “I look at the different phenomena that happen around us and try to find a way to optimize them. This optimization can have different objectives where sometimes you want to minimize the wait times, the cost, and in some cases, you want to maximize the profitability,” Samarghandi explained. The optimization models that Samarghandi is working on are in the field of queueing theory as a way to describe what happens in the queue of patients. One way to do this is to examine the patient priorities and resources available. He is exploring “how we can schedule patients more efficiently. People have different priorities and emergency situations and how can we use all this information to provide more efficient scheduling such that the waiting times are minimized?” This is particularly important in mental health, an area that Samarghandi is also focusing his research. The main goal of this work is to minimize the waiting time of patients and maximize their satisfaction from the service they receive. According to Samarghandi, from the patients’ perspectives, different parameters or priorities indicate whether patients should be satisfied with the service or not, which include waiting times, cost (international residents), limited insurance and quality of care received. He said, “For many people, quality of care is translated into the time they spend with the doctor. 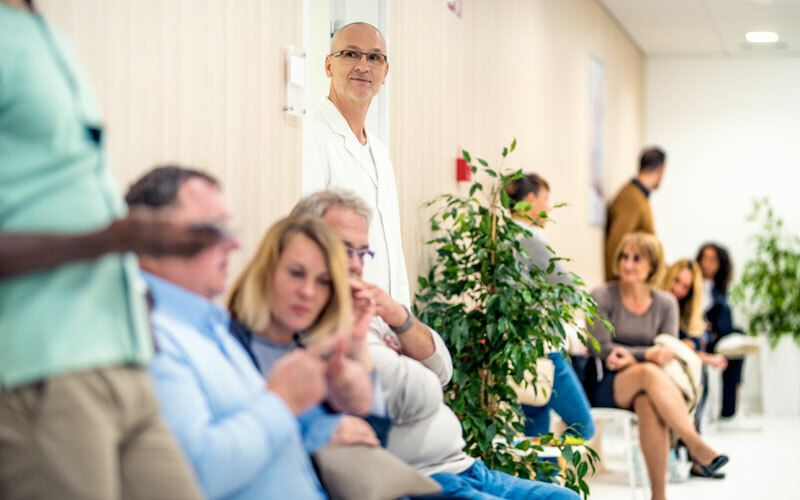 Two of parameters are crucial for the patients: the time they spend in the waiting room once they enter the walk-in clinic, and the amount of time they spend with the doctor. These two parameters are contradictory because the more time a patient spends with the doctor, the more he/she is satisfied; but it means that other people are waiting longer to see the physician and, hence they become dissatisfied and vice-versa. If you spend less time with the doctor, you won’t be as satisfied but at the same time the wait times for the other patients will be shorter”. In other words, Samarghandi is looking for the setting that maximizes patient satisfaction given the different priorities and using innovative and adaptable modeling techniques to solve this issue. “Once we have the model, we can adjust it, because as time passes the society is going to change. The priorities of people ten years from now will be very different from today, but the model remains adaptive accordingly,” he said. Samarghandi is also collaborating internationally with a cardiology clinic abroad investigating various appointment-making policies and scheduling methods to minimize the patient wait times. Another successful collaboration involves working on a theoretical model in the field of scheduling with a colleague in the United States that resulted in the acceptance of their publication in a high-level journal. 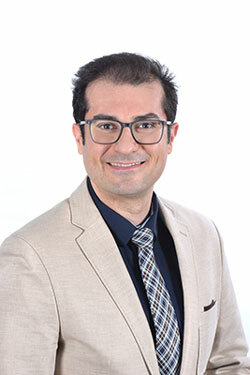 To learn more about Dr. Hamed Samarghandi’s work, check out his Profile Page!